Political leadership is key to creating the necessary environment to achieve challenging emissions reductions targets and move to a low-carbon society, international experts told the Citizens’ Assembly today. Sitting for the second weekend on the topic of how the Irish State can lead in tackling climate change, the Assembly heard this morning from experts in transport and agriculture. 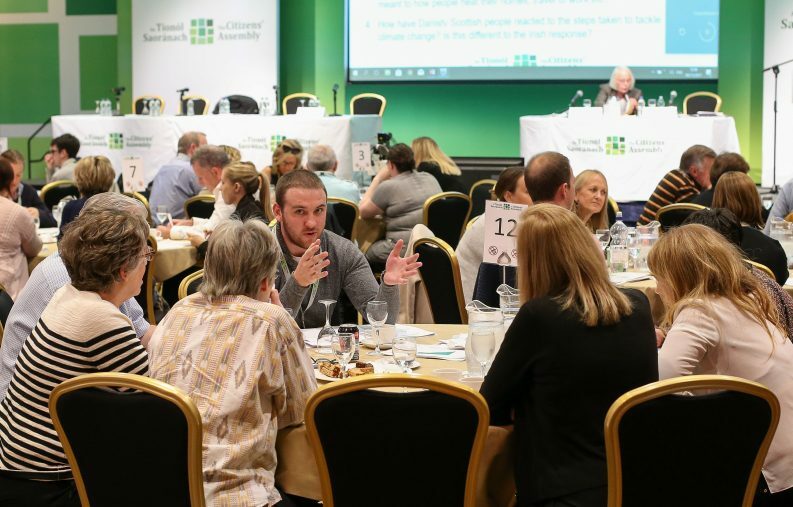 The Assembly was established in 2016 and is comprised of 99 randomly selected Irish citizens who consult and make recommendations to Government on key issues in Irish society. The assembly also heard from Scottish and Danish experts on how their countries have acted to tackle climate change and become world leaders in the transition to a low-carbon society. Professor of Low Carbon Innovation at the University of Edinburgh, Andrew Kerr, outlined Scotland’s success in increasing its renewables electricity capacity from 3,350MW in 2008 to 8,600MW in 2016. Renewables now account for 56 per cent of total output in Scotland and the country is on track to get near its 100 per cent target by the early 2020s, according to Prof Kerr. A recent report from the UK’s Committee on Climate Change found that Scotland’s emissions in 2015 were 38 per cent below 1990 levels and is on track to meet its ambitious 2020 emission reduction targets of 42 per cent. Prof Kerr stressed that political leadership was “at the heart of all this” and was key to creating the infrastructure that enabled Scotland to reach its targets. “Political vision and leadership in putting forward a challenging target, and corralling the resources and narrative around delivering that target, was as important for setting the framework for tackling climate change as robust evidence that it was achievable,” he added. He also outlined the importance of creating different funding schemes to assist local communities to “take a stake in the energy projects” which has a whole range of additional and economic co-benefits. 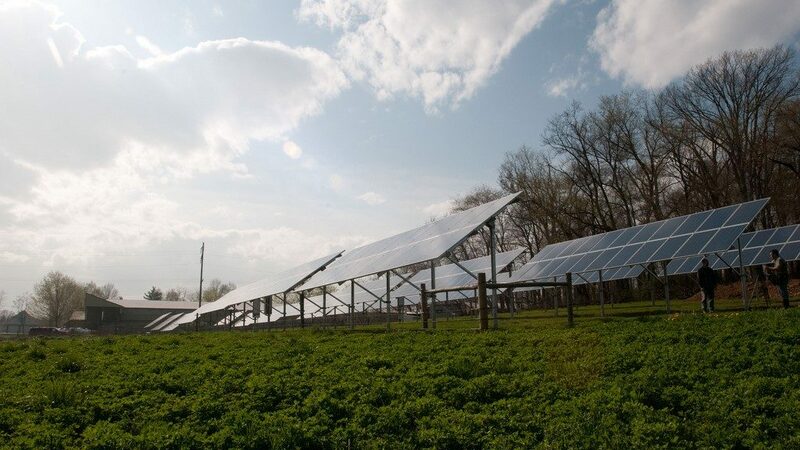 The Scottish government has already exceeded its original target for 500MW of locally owned energy generation facilities across Scotland by 2020. It is now resetting this target to 1GW of installed capacity. Speaking via a recorded message from Denmark, Former EU Commissioner for Climate Action Connie Hedegaard outlined how her country was forced to become a climate leader “out of necessary”. Denmark suffered badly from two major oil crises that hit in the early 1970s as Denmark was completely dependent on fossil fuel imports, she said. “At one point, it became so bad that is was prohibited to drive your own private cars on Sundays,” Ms Hedegaard added, pushing Denmark to take action through the likes of carbon taxation. She stressed that parties across the political spectrum “joined forces in creating the main road… to energy policies”. 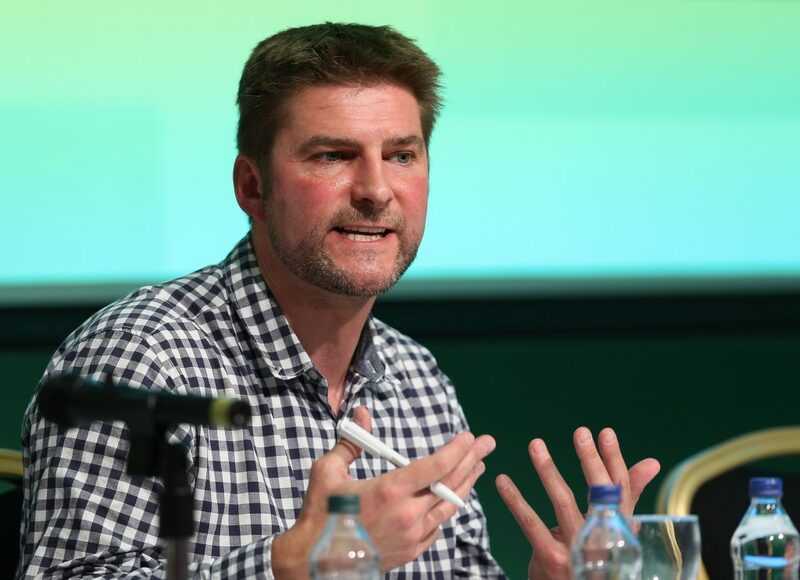 Friends of the Earth Ireland Director, Oisin Coghlan said that the two international examples exemplify the role of political leadership and setting challenging targets in “driving climate action”. Mr Coghlan, who is also involved with the Stop Climate Chaos coalition, added that the Irish Government should learn from the Danes and Scots and “shouldn’t be afraid of setting challenging targets and then following up with real action”. “In Ireland we tend to set targets only when we think we know exactly how to meet them,” he added. The experts also outlined how both countries still face challenges in bringing emissions down in other areas, namely agriculture. “We have really struggling to persuade farmers to change their practices toward a low carbon precision model,” said Prof Kerr, with similar problems faced in Ireland. Agriculture accounts for one-third of total emissions in Ireland, including almost 90 per cent of total nitrous oxide emissions and 85 per cent of methane emissions. 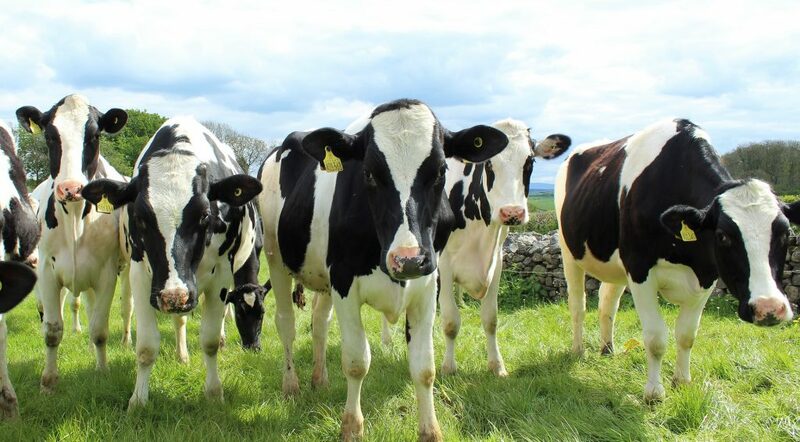 Later this afternoon, the Assembly will hear from Teagasc in relation to agricultural emissions in Ireland, as well as other experts in economics and food waste. Tomorrow, the Assembly members will discuss and vote on recommendations for Government. The Government must then provide a response to each recommendation. If the Government accepts a recommendation, it will provide a time frame for the holding of any related referendum.